The Jack Absolute Novels | AUTHOR. ACTOR. SWORDSMAN. NEWS FLASH! Go to my blog on October 5th to read about me playing Jack Absolute! Click below! “An absolute delight! Swashbuckling adventure, eighteenth-century wit, hugely entertaining plots, and one of the most appealing military gentlemen ever to wear a sword.” Diana Gabaldon – Author of the Outlander and Lord John Grey series. “C. C. Humphreys takes you into a swashbuckling world you’ll never want to leave.” Kate Mosse, Author of Labrynth. Thanks, Tim. Great to know I have at least one fan in Texas. Actually Armageddon just came out in the US. ‘Vlad’ came out last year. The bookstore is Munro’s. One of my favourites. We are in Texas too! It is difficult to find books my English husband will read (and finish). He loved the first book and he is reading the second. Keep writing! Thanks! My first French Executioner out in US Oct 1st. He may enjoy that! Jack Absolute is awsome man, keep up the great writeing dude. Glad you liked him. I’ll try! I have become a Jack Absolute fan…One of the best historical fiction series I’ve come across in some time. Outstanding work all around. Please tell me we will see more of Jack. Glad to hear it. I am always plotting the return of Jack and have a sequel in mind to the first book. Now, if these durn publishers will just give me a little space… coming soonish I hope! Have just read Jack Absolute. Loved it. Is it the first of the series. What order should I read them in? Yes indeed Dianne – first of a series of …three so far! I got distracted into Medieval world but keep promising to return to Jack, who I love. Soon I hope. Read The Blooding next – the first prequel. I have a plan! Am thinking of getting another Jack out soonish! Thanks, Sandy. So pleased you enjoyed both class and book. I just finished Jack Absolute and loved it! I’m looking forward to reading your other Jack Absolute novels. I’ll be anxiously awaiting your next one. Meanwhile, I’ll tell everyone I know about this great series. So pleased. Read Blooding next. Trying to find time to write sequel to Jack. I really enjoyed Jack Absolute! My father was born in the town of Schoharie, N.Y. and now lives somewhat close to there again in Greenville. Both towns are mentioned in your book, as you are well aware. This book really captured my attention because of it’s historical relevance to many places I am very familiar with. I grew up in Oklahoma, but my dad took me back to NY many times and told me lots of old stories about the Schoharie Valley and Catskills. Those stories were always very intriguing to me and this book really brings back memories of that. I now live in Kansas City, but get to go back to NY somewhat infrequently. Thanks for writing your book Jack Absolute. It was like all those old stories about Indians, Tories and Rebels were all fleshed out and clear in my memory again. I’m very much looking forward to getting my hands on the prequels to Jack Absolute now. Keep up the fantastic work. So pleased it brought back such good memories, Gavin. Loved my time in that part of the world. The first is the last chronologically (1777-1778) but there’s more fun in knoeing him later and going back. Clear as mud? Absolutely! I’ll give it a go. I got a free preview from Amazon of Irresistible Jack Absolute, which I don’t see in your list above. I’d like to obtain the entire book but cannot find it on Amazon. Please advise. Are you in Canada, Denise? Its only available in the US, which technically you are not allowed to buy here. How did you get the free ebook? Denise, Like you, I saw the recommendation by Diana Gabaldon and immediately downloaded the “Irresistible Jack Absolute”. Finished it in one sitting and went back to the Kindle store to get the whole book. I too was confused. After searching Kindle and this site, I realized that the “Irresistible Jack Absolute” is “jack Absolute”. I compared the chapters and read a little. So I am starting with that and am sure I will be going through the whole series in no time. Thanks so much for this! I just realized that confusion too. Will let my publishers know. Thank you Luan! It IS a good book,and I’m glad you found it. Thanks for your quick response. I got the free PREVIEW of the book from Diana Gabaldon’s facebook page as an introduction to her fans of a new author we might like. It was offered through Amazon. I live in Illinois. So the book is not available to me? I really got caught up in the story. Thanks. Checked with publisher. The Kindle version of the whole book is definitely available in the US. Let me know how you get on. Cannot find it on Amazon. Will check again later, unless you know where else I can get it. Thanks. Can this book be bought hard copy? I have a Nook, but not the tablet version so I can’t get the Enhanced free preview. And don’t have a Kindle so can’t get the Amazon version. Sounds right up my alley as I am a HUGE Outlander fan!! Yes indeed. In store or online. Hope you enjoy the rest. Hi Chris, hope you and yours are well. Just a quick enquiry, have you started writing the next instalment in the Jack Absolute novels yet? Looking forward to his further adventures very much! 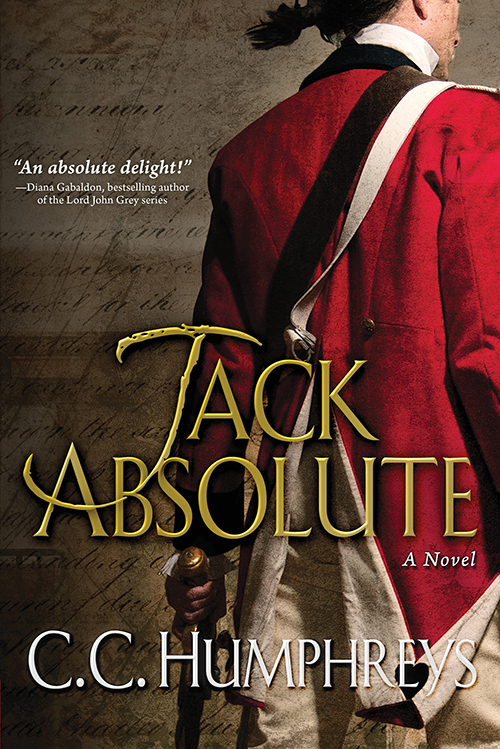 Just finished Jack Absolute…loved it! Thank you for a wonderful novel! I, too, was directed your way via Diana Gabaldon’s FB page. I will be recommending your JA series to all my Outlander friends. Can’t wait for the next two books in the series to arrive! So pleased you enjoyed it, Erin. ‘The Blooding of Jack Absolute’ which is the prequel, arrives next month! I can’t find Absolute Honor in ebook format. Are plans in the works for an ebook version? Hello Lynn! It’s not out till Spring 2014. But ‘The Blooding of Jack Absolute’ will be out in all formats next month. Enjoyed the character and the books,I search for books on that particular period of time. I’ll read a book and follow along on google maps it allows me to walk in the characters footsteps. Having traveled to Bath, Absolute Honour brought back fond memories. Thank you for a great read. That’s a great idea! Love Bath! Love the series! I felt the books were part Bernard Cornwell, part James Fenimore Cooper. Two of my favorites. Definitely will await the 4th book anxiously. Really curious to see the path Jack takes next! Me too! I have such plans for him. One day! Vlad:the last confession was a phenomenal book. And I’m in the process of reading Armageddon which is drawing me in more and more. Next is the jack absolute series which I’ve heard nothing but good things. Thanks. So pleased. Let me know what you think when you finish Armageddon. Different take on Mehmet, eh? Read the first Jack Absolute on referral of Diana Gabaldon and her fans. Thoroughly enjoyed it and just finished “The Blooding”. Have “Honorable” on request from the library. Thanks for an enjoyable yarn!! I have absolutely loved the Jack Absolute series! Is there any chance for more of Jacks adventures down the line? Thanks, Adam. I don’t know what you have planned for Jack. But I think a French Revolution adventure would be right up his alley! Your lips to Ridley’s ears! He’d be my number one choice. High praise comparison to Mr Fraser. Many thanks. I have only recently discovered your work. I started with the Plague and went on to the French Executioner and thus to the Jack Absolute books all of this within the last two weeks. The rest of my life has been on a very slow burner. last night I finished Jack Absolute The 007 of the 1770’s. I feel that i have missed out some where as I am sure that Jack Absolute in India must be hidden some where. Also surely the villains cannot be allowed to go free in America? You really have captured me as did Bernard Cornwall and his Sharpe novels leading on to the rest of his work. I download you novels onto my kindle, but I must now take a break and get on with other activities. I am retired so you need not think that I am neglecting my work or family, how good it is to find a new author. Thank you. Thanks, Paddy! I love to hear of people diving in to my novels. Yes indeed, I have a plan to chase down Jack’s enemies. Just got distracted by all these other books. Hope you keep on enjoying them. A few to go. Hi Chris, any news on the next Jack Absolute novel? I know some time ago you said you were thinking of writing one soon and having the story set in New York, and having Jack involved in all sorts of spying escapades. Has this been put on the backburner, or can we hope to see Jack in print any time soon? Kind regards, Neil. I have just discovered C C Humphreys Jack Absolute. Reading blooding of Jack Absolute. So far it’s an excellent read loving it funny at times as well as tense. What is the order of this series anybody sure this may not be the first. Carl,so glad you’ve found my friend Jack. I wrote ‘Jack Absolute’ first and the The Blooding is the prequel. A good place to start so you should read Absolute Honour next and end with ‘JA’ which takes place 15 years later. I have just read the three Jack Absolute novels in four days and need more! Excellent series and am looking forward to a new absolutly wonderful new tale…but when? Oh Chris! You are one of many- including me! Soon I hope. I’m missing Jack Absolute too, but suggest Bernard Cornwell’s Richard Sharpe series and John Wilcox’s Simon Fonthill series. Both engaging heroes and great adventures. How disappointing. Twitter (Diana Gabaldon) led me to search out Jack Absolute and now I find I cannot get the ebook in Canada. However, I did purchase Plague and was able to download the free preview of The Irresistible Jack Absolute. Damn! I am trying to sort this out. Hopefully soon. Chris, seeking your JA series. Is Munroe’s the best source to order them? Just finished Plague, Fire, Vlad and A Place Called Armageddon. Well done, never knew history could be so much fun. Keep up the fine work, really enjoy it. W.
I love Munroe’s so… yes! And really appreciate your… appreciation! Love the Jack Absolute series pal. I’m originally from Nottingham UK and currently live in Ottawa and have made a few trips to Quebec city the last of which I want searching for Wolffe’s landing. It’s fun seeing the landscape come to life in any Historical Fiction and I’ve really enjoyed the way you painted it. Look forward to seeing Jack in action again sometime soon. There’s a quote from Blooding in the Historical note ” Akwekon katon othe: non tsi ne ken “. Can’t find the translation on Iroquois or Mohawk language sites. Any help? Heh Richard! Glad you enjoyed the books. The quote is given in the text too – it’s Iroquois for ‘To be or not to be, that is the question’. Got it from a Mohawk re-enactor at Saratoga in 2002. Made the book for me! You may enjoy Plague next. 1665 – but there’s an Absolute in it! Come on Chris,we want another Jack Absolute book – if you start a series you have a responsibility to your readers. I’m 66 and at this rate it’s going to be a short series for me! Talk about pressure! I’ll try, trust me. I’ve read all 3 Jack Absolute books and desire more! Would love to see you take him into the Napoleonic Wars or the war of 1812. I know that would make him an older fellow but what adventures he could get into! Thanks, Richard. I had plans to take him all the way to Waterloo. One day! Have just finished “Plague” and shortly to begin “Fire”. Great read. Ever consider writing a conclusion to the first Jack Absolute book? Ever and often. 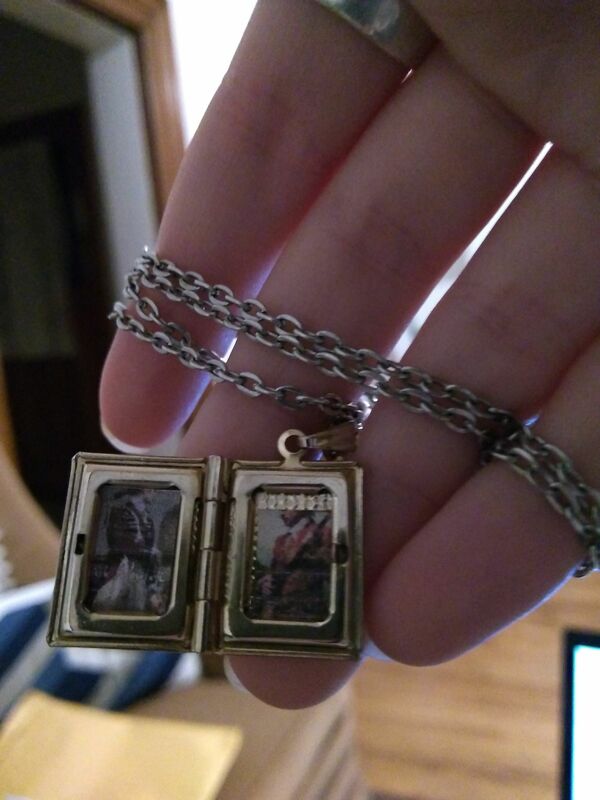 I have one about a quarter written. In fact I am about to reissue Jack as an ebook in Canada- never been an ebook here – with a new ending that begins the next novel. I’ll also be doing an audiobook of Jack. So many people want more… including me! So thanks for asking, Chris. Esther, this made my day! What a great photo. It’s funny you got in touch about Jack, because he’s much on my mind. And you could help! I’m sending you an email! Oh thanks so much, Helen. Glad you enjoyed. I am hoping to get back to Jack soon. Let me know which one you read next. Have read most of the books but slow to warm up to Vlad. What I really want is 4th Jack Absolute. Hmm. Stick with it, I think you’ll thaw. Have you read The Birth of Jack Absolute? Only a short story but I wrote it two months ago. First Jack in ten years. More soon, I hope. Link is on home page of website.